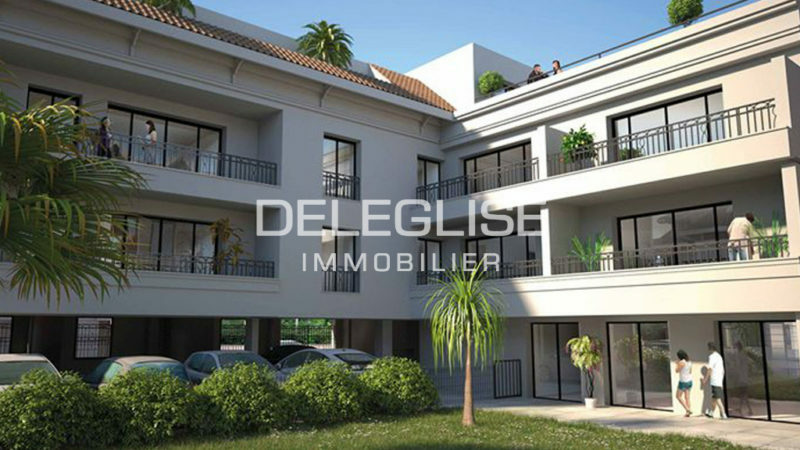 DELEGLISE IMMOBILIER presents a townhouse situated in the city center. This splendid 5 room townhouse is the ideal home for those who want the independance of a house but no big garden to entertain. This home offers 3 large terraces (45m²) and is designed in zen-style. Heating is via a reversible airconditioning and convector heater. On the ground floor a very spacious garage, a laundry room, a guest bedroom and its shower room. On the first floor, a living room an independant kitchen, an independant toilet and a terrace. On the second floor, two beautiful bedrooms each with a bathroom and a terrace, independant toilet.